What I do not like about Porsche is this never-ending story of a series of substantially identical models with small differences. This does not allow to have an exclusive model but only a small variant that historically will have no meaning because the numbers have grown to satisfy a worldwide clientele. In this way exclusivity is lost. The model begins with Carrera 2 and 4 and ends with Gt2Rs and after three years starts again with the restyling. Maybe in Porsche they should start using more neurons. They did not limit the 991 GT2RS compared to the Limited and Numbered 997 GT2RS, yet there is still ADM. Porsche GT and Numbered cars are on an all time high. That most people who want it will not be able to get without a big ADM. Mute point discussing the exhaust tips. Let's talk about expected ADMs for the car. Speedster? 200k if you are lucky. Pretty sure there will be 1948 Speedsters. Not a car for me, so happy to be out of the rat race on allocations! Porsche is actually quite generous w/ 1948 examples. After all they could have also decided to just make 70! yes quite the challenge for P to figure out how to fix this unbroken system . Exclusivity?!? Meh, you can keep it. As it is many drivers wanting cars can't or wont' be able to get them. They need to build more GT cars and more variants, if only to put an end to this stupid ADM game. To your point, I posted this in another thread. 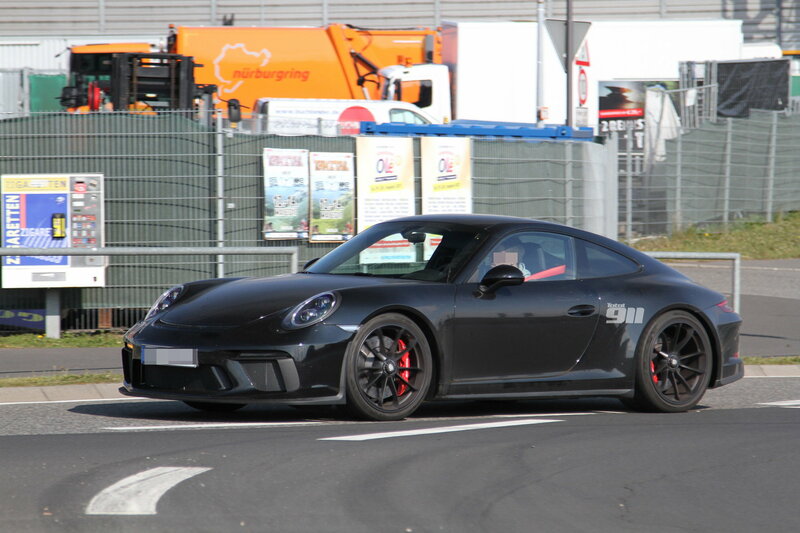 In addition to the funky pea-shooter pipes, the exhaust itself does not appear to resemble a 991.2 GT3 exhaust. New exhaust design with particulate filter maybe? 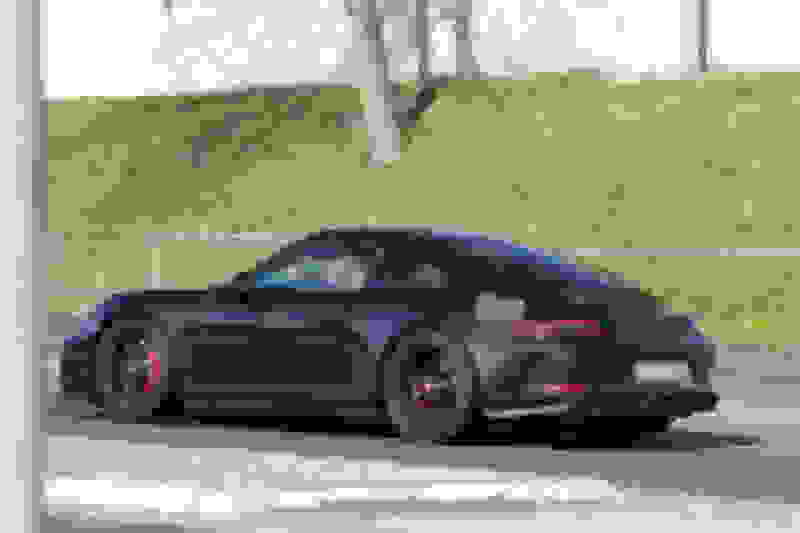 New 4.2L halo gt3rs? A man can dream. didn’t they have a problem selling 356 units of the 997 Speedster? I know that was just a gts w lots of leather. Heck. I bought one at a discount. thats what I thought. I was wondering why all the fuss this time around. But I suppose the 997 speedster didn’t get a proper GT race engine last time like the 991 will be, and the 991 will be a rare NA vs the common 991 turbo carrera engine, and I expect the 991 will include a 6 speed manual option vs the 7 speed offered on regular 991 Carreras. 2011 was when the speedster came out and I guess we can say those were 'THE GOOD OLD DAYS" Not going to happen this time around. Heck I was on no list and called a dealer out of state and was able to get a GT3RS at M.S.R.P. and I was able to order the car as I wanted. Even got a call back from my salesman to offer me another car if I knew of anyone looking for an RS. So I passed the info on to my local P.C.A. club. That was at Paul Miller in .N.J. Ahhh yes, the good old non-ADM days. 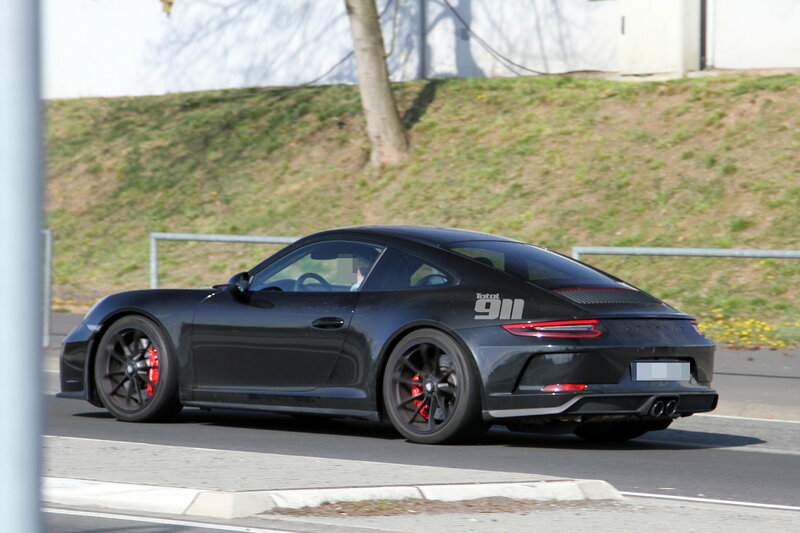 What do we know about the/a 991 sport classic / .2 R ? Last edited by jo_ker; 04-16-2018 at 06:07 PM. The mule doesn't appear to have an intake grill or ducts. So maybe those little exhaust tips are actually oversized. Alpine-al's observation about the lack one any intake grill on the rear deck has gone uncommented. For me, this is the most intriguing aspect. Where are the fans and the vents? Between the buttresses under the fake cloth hood at the back? But that would be too far forward (but does prompt a left field thought)....and if they are not there, where are they? Surely they would not be driving around with a fake panel covering up the cooling fans.